It’s one of those interesting autumn days when the sun and the clouds battle for dominance overhead. Indoors, the light from the windows shifts from yellow and warm to gray and cold, back and forth, back and forth. There’s a breeze that puffs up and moves the wind chimes enough to make zen-like notes that hang on the air and die away until the next time. My dog, now in his old age and arthritic like me, sighs and does that grumpy-old-dog groan in his sleep. It’s early afternoon, mild and in the mid-60s. I have the windows open so the good, clean, fresh air can waft through the rooms. The temperature is so soft I’m comfortable wearing an oversized T-shirt and jeans; there’s no need for anything warmer. My beloved mechanical clock, the gears run by a weight and pendulum, tock-ticks the quiet minutes away. I’m thinking about my renewed struggle with rheuma. I’d gotten accustomed to getting through my days without coping with painful joints, without limping, without that sudden, sharp knife of pain and surprise when I try to open a jar or pick up a book. I’d forgotten what it was like before the disease went into its long remission. In a way, forgetting was a mercy. It’s good that our minds blunt memories of pain. Now the rheuma is back. The evidence is everywhere. It’s in my blood test results. It shows up as pain in my wrists, hands and fingers. As twinges in my knees and shoulders. And it shows itself in the 5-inch-long, zig-zag scar I’ll always have along the outside edge my right wrist, the visible aftermath of surgery four years ago to slice away an ominous deposit of synovial pannus. A mis-shapen, hard, completely painless lump that appeared as if out of nowhere over my wristbones, it was potentially, even iminently, disabling. It was the first clue I’d had in nearly a decade that the disease still active in my body. 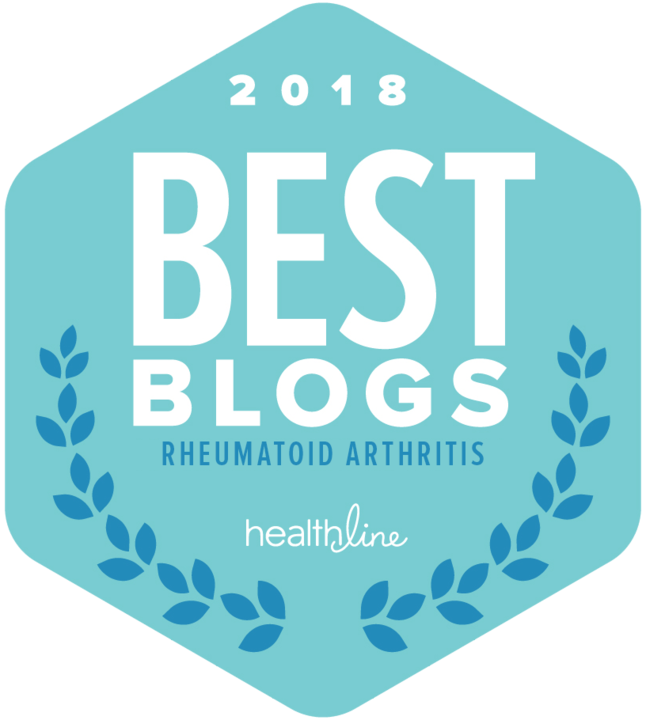 I’ve learned a great deal since I was first diagnosed with rheumatoid arthritis. Back then, there was no Internet. No Google. I was living in N. Germany, working as a civilian on a U.S. Army post. It was only because I’d been experiencing bewildering bouts of increasingly intense, persistent pain in my hands, shoulders and feet for more than six months that I finally went to my doctor, a U.S. Army internal medicine physician. Major Tom. He ordered blood tests. They came back with a positive Rh factor. I had my diagnosis. Maj. Tom put me on NSAIDs. He told me a little about the disease — it was an autoimmune disease, mainly — and prescribed painkillers when I needed them. With no other resources, unsure of what to questions to ask, I went to the post library, looking for books about rheumatoid arthritis. There weren’t any, but the librarian found the address of the American Arthritis Foundation, so I wrote them for information. A few months later they sent a pamphlet. I felt very, very alone. But as the years passed, I learned more. My doctor tried drug after drug on me, hoping to relieve my pain. I took the whole gamut of NSAIDs. I tried plaquenil, but stopped taking it after the opthalmologist discovered a small tear in my retina that hadn’t been there before. I took oral gold. I had blood tests every two weeks for so long that the veins in my elbows collapsed and they had to draw blood from my forearms and backs of my hands. None of it helped. The only relief I had was when I took narcotic pain relievers, and those I only took with great care, and only at home. I had to take a couple of sick days off from work each month; when the flares got really bad, sometimes I had to take more. My supervisor and my boss were sweet and understanding. They saw me cover stories (I was a writer-editor with the post’s public affairs office) while gimping along with a cane or on crutches; they saw me type those stories up in spite of hands so painful I had to do it slowly, doggedly. They gave me no trouble over the days I took off as long as I got my work done. I did get it done. I was proud of that. When I came back to live in the States again, I’d had all I could take of doctors and endless drugs and bloodtests. Nothing helped. I resigned myself to living with the disease without treating it. The side effects of all those drugs frightened me. And eventually, as slowly as it had come on, the rheuma went into remission. The flares became less and less frequent. The continuous, annoying twinges finally stopped. I went back to living a “normal” life, one free of canes and crutches, drugs and needles, of pain. I knew that “remission” didn’t mean that the rheuma was gone. But I didn’t really understand that it meant, even if I couldn’t feel it, that it was still doing damage inside me. I guess I thought that it was in some sort of suspended animation. I was wrong. Today, as the autumn sun slides down the sky toward night my hip hurts when I move, stabs me when I walk. My hands, as usual, twinge and ache. The disease hasn’t reached the terrible, excruciating intensity that it did before, at least not yet, and I’m taking an old drug — sulfasalazine — and a new drug — Arava — as weapons in my arsenal against my back-from-the-dead enemy. My rheumatologist says they’re working. I have to believe him, even though so far (as before) the drugs aren’t doing anything to stop the creeping advance of pain. But I know a lot more about the disease now. I’m educated. I’m not isolated on an Army post on another continent, the only person I know who has it. 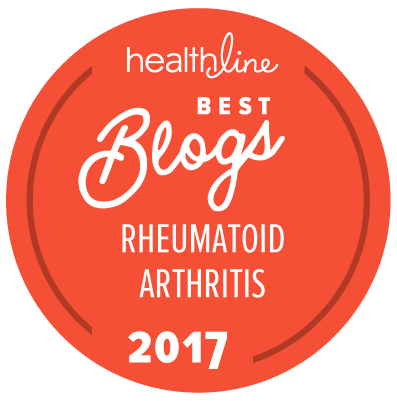 The latest information about rheumatoid arthritis is today always available, right at my fingertips as I search the Internet. I search with great hunger for more. I want to learn and learn. And this time, I don’t feel quite so alone. There’s a whole, online community of people who, as they battle this disease, are talking about it, writing about their experiences, and who are offering anyone who needs and wants it their compassion, understanding and support. Inspired by them, I’m doing the same. And as I think about moving, about working for a while in the kitchen, making supper for myself and my family, I feel as if I’m waiting, almost holding my breath. I know what it is I’m waiting for: the dragon called Rheuma. I’m mentally streaking myself with blue woad. I’m conserving my strength. I’m preparing for the inevitable battle ahead, knowing I won’t win it, but that I’ll survive it. Knowing that each skirmish will make me stronger. Knowing that I’ll lose only if I give up. Photo of autumn dogwoods copyright Leslie Vandever, 2009. Your post brought tears today. The words hit so close to home. That dragon scares me but you are right, we can’t give up. Thank you for visiting my blog and leaving a birthday wish. Just have to say that your writing is SO beautiful – it’s a pleasure to read it. And the accompanying pictures are gorgeous as well.